Posted Monday, June 25, 2018 by Eddy Goldberg & filed under WorkStations. Every career aspiration starts with a vision of doing the job and being happy. It’s never a boring image – a beautiful workstation with everything in its place helps bring the vision together. A great workstation makes all the difference. 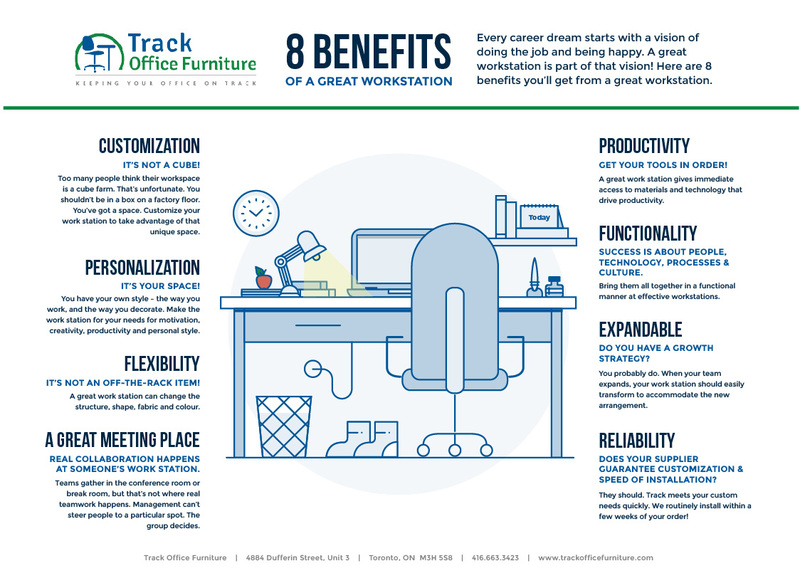 Here are 8 benefits you’ll get from a great workstation. It’s not a cube! Too many people think their workspace is a cube farm. That’s unfortunate. You shouldn’t be in a box on a factory floor. You’ve got a space. Customize your work station to take advantage of that unique space. It’s your space! You have your own style – the way you work, and the way you decorate. Make the work station for your needs for motivation, creativity, productivity and personal style. It’s not an off-the-rack item! A great work station can change the structure, shape, fabric and colour. Teams gather in the conference room or break room, but that’s not where real teamwork happens. Real collaboration happens at someone’s work station. Management can’t steer people to a particular spot. The group decides. Get your tools in order! A great work station gives immediate access to materials and technology that drive productivity. Success is about people, technology, processes and culture. Bring them all together in a functional manner at effective workstations. 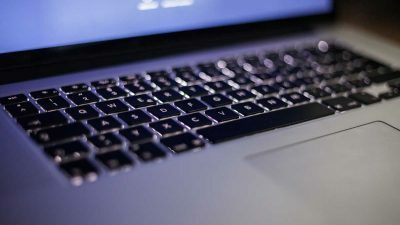 Do you have a growth strategy? You probably do. When your team expands, your work station should easily transform to accommodate the new arrangement. Does your supplier guarantee customization and speed of installation? They should. Track meets your custom needs quickly. We routinely install within a few weeks of you order!